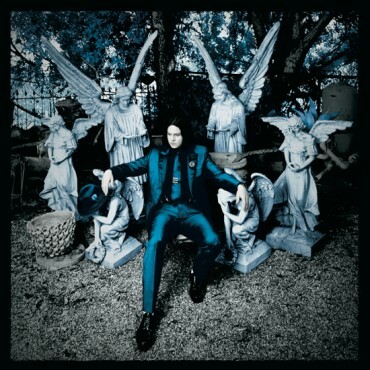 Lazaretto is a worthy follow-up to Jack White’s first solo album, Blunderbuss, wherein he shed the garage rock trappings of The White Stripes and the psychedelia of The Dead Weather in favor of a more roots-y Americana built on the early blues. White wears his love of the blues plainly on his sleeve, often paying homage to the first generation of blues songwriters like Sun Ra Son House and Blind Willie McTell, and even republishing the latter’s long-lost catalog on his label, Third Man Records. On Lazaretto, White renews his vows to roots music, dipping frequently into blends of blues, folk, and of course, his trademarked noisy, squealy guitar rock. While the album satisfies musically, the coolest thing about Lazaretto is the delivery system: a one-of-a-kind vinyl “Ultra LP” that’s packed to the literal brim with as many tricks and gimmicks as can be fit on a single vinyl record. Side One has a reverse groove, meaning that it plays from the inside to the edge of the record, rather than from the outside in. There’s a holographic angel that can be seen dancing in the dead wax near the label when you have the right lighting. Side Two has a matte finish, which makes it visually distinctive, and features two different entry grooves that join together during the first song, so that each time you start playing it you have an equal chance of hearing either the electric or acoustic intros to “Just One Drink” before the full band kicks in. There are locked grooves at the end of each side, and a hidden track under each label that plays at a different speed than the rest of the record and from each other. It’s a puzzle as much as it is an album and it is endlessly fascinating, which makes purchasing the album on LP irresistible to anyone who plays or collects vinyl. And it’s a good thing, too, because while Lazaretto is an entertaining listening experience, it’s not up to par with previous Jack White-led releases like Get Behind Me Satan or Consolers of the Lonely. It’s adventurous and experimental, but that’s another way of saying it’s erratic and dysfunctional. Its lows are shallow (there’s not a bad cut on the record) but its highs only reach the levels of Blunderbuss, which was also a satisfactory but not stellar record. It’s a record that would be more nourishing if it wasn’t so hotly anticipated, and if it wasn’t competing with the excitement of the technological marvel that is the Ultra LP. After spending weeks-to-months gushing that “there’s a new Jack White album coming and it’s going to do all of this crazy stuff” there’s only so much the actual album, which sounds pretty much like the last one, can do to impress you. It does its damnedest, though, with a rousing opening track that’s a complete re-working of Blind Willie McTell’s “Three Women Blues” from 1928. (Say, isn’t the original available on Third Man Records? Jack, you sly, cross-promoting devil.) 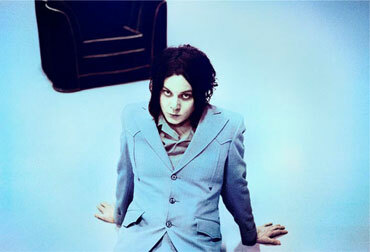 With Booker T-style organ riffs and percussive piano behind it, Jack White delivers boastful lines about his sexual conquests with hip hop swagger. (This is appropriate, since hip hop swagger is just blues swagger adjusted for ninety years of inflation.) While this track rocks pretty hard, it’s out-badassed immediately by the single “Lazaretto,” which has has the edgy, sinister feeling of a Dead Weather track, at least until Fats Kaplan’s fiddle playing brings us back to the album’s rootsy center. With a sharp-biting rap-rock vocal style reminiscent of The Dead Weather’s “Looking At The Invisible Man,” White introduces us to his creepy viewpoint persona of the album, an artist that we love to admire on stage but would probably rather not hang out with. After two hard-rocking cuts, we dive right into the album’s country/Americana side with “Temporary Ground,” powered by pedal steel guitar, fiddle and Emmylou Harris-style harmonies. This song would have fit perfectly on Side Two of Blunderbuss, right between “Hip (Eponymous) Poor Boy” and “I Guess I Should Go To Sleep.” Next up is “Would You Fight For My Love?” an anguished ballad of a love not fully returned. Its sense of drama is amplified by operatic background vocals by Ruby Amanfu. The song’s focal character comes across as sympathetic, but also trying a little too hard to the place blame for his imperfect relationship on his partner. He feels unappreciated, unfulfilled, but completely beyond blame for the state of his romance. Given White’s flair for the dramatic, it’s hard to tell whether or not this character is intentionally creepy. Closing out the side is an instrumental track, “High Ball Stepper,” which was the focus of White’s next-most recent vinyl-related publicity stunt, for which he recorded a version of the song live on stage, had the master immediately hand-delivered to United Record Pressing’s plant for manufacturing, and then was distributed to the crowd as a 7-inch single, thereby making it “the world’s fastest record.” (CORRECTION: While “High Ball Stepper” was performed during the World’s Fastest Record event, “Lazaretto” was the track recorded and released, not “High Ball Stepper.” -DR) Once again, the stunt outshines the music, but “High Ball Stepper” is still a cool jam that allows White to stretch his wild guitar muscles more than he can on his broken-down roots rock cuts. It feels like it belongs in an action movie trailer, and I expect it will find its way to one in short order if White permits it. Side Two opens with “Just One Drink,” a snappy, upbeat Americana track that feels like something Buddy Holly might have covered if he’d heard it back in 1958. This is easily my favorite song on the album, as it has the most accessible hook and a very appealing playfulness. It’s a song you might play to entertain some friends while sitting in a basement drinking cheap beer. Once again, the speaker sees himself as the unquestioned victim of the story, pining “I love you, but honey why don’t you love me?” but hey, that’s why they call it the blues. It’s a the fun kind of sad song, and all is forgiven. “Alone In My Room” is likewise fun, a cute melody backed by simple piano chords in a high register. It’s the most “pop” of all of the songs on Lazaretto, and as such it seems open to a variety of arrangements and interpretations – I’m excited to see the variety of ways it’ll be covered on YouTube. After “Just One Drink,” it’s the best-crafted song of the bunch, and it hits a completely different set of mental and emotional buttons. The album’s final three tracks are the rocking, White Stripes/Dead Weather-style “The Black Bat Licorice,” the piano-driven, harmonious “I Think I Found the Culprit” and the quiet acoustic “Want and Able.” Just like on Blunderbuss, the last fifteen minutes or so is where Lazaretto starts to drift into forgettable territory. None of these tracks are bad, they’re just too much like what we’ve already been hearing for the last half hour, and on the previous album. What seems to be missing here is strong songcraft; there’s a reliance on cool sounds rather than ear-catching melodies. There are neat harmonies, cool solos, and enough energy to get you to the end of Side Two, but nothing that’s going to make you skip back to any particular song. Each side of Lazaretto starts off strong and then steadily runs out of steam, making it more likely that you’ll be listening to individual tracks on your phone than playing the full LP, which is a shame considering how much work was put into the physical product. Like Blunderbuss before it, it’s destined to be overshadowed by Jack White’s better work with The White Stripes or his other quality side projects, or even by its own technical, vinyl geek achievements. It’s definitely worth a listen, and if you’re an appreciator of vinyl records than it’s a must have, but as a toy, as something to show off to your friends, not as something to listen to on quiet evenings by yourself when you need someone to sing you the blues. Lazaretto is available in stores and online on Tuesday, June 10th.